Fractions are by far one of the most difficult skills in 4th and 5th grade. There are so many fraction skills and my students easily get confused trying to remember all of them. One way I have found that helps is to consistently provide my students with engaging fraction review to help them review all of the fraction skills and keep them straight in their minds. 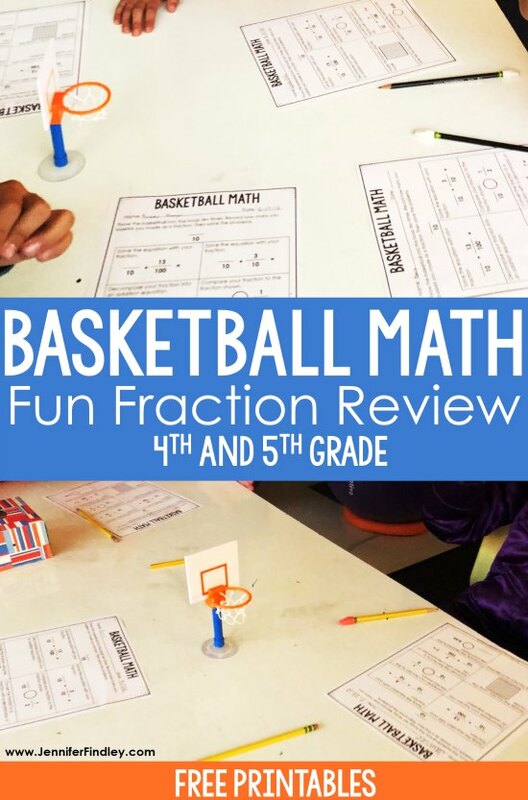 On this post, I will share a super fun fraction review for 4th and 5th graders using basketballs. Amazon affiliate link included if you wish to purchase the mini basketball hoops mentioned in the post. 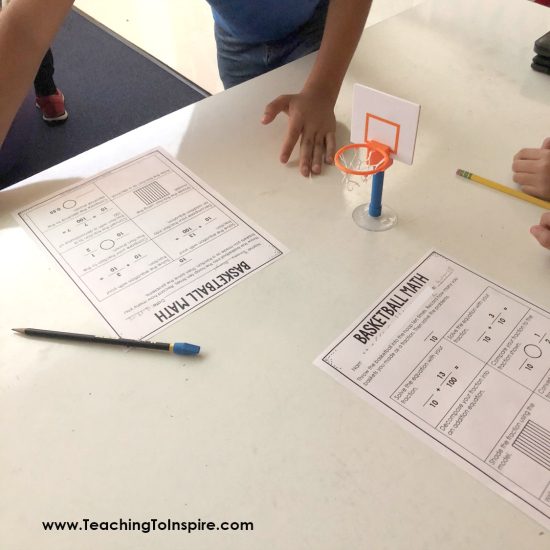 I was inspired to create this activity when I saw Pocketful of Primary’s IG post about how she used basketball to review in her classroom. Click here to see her post. I used mini table top ones that I bought off Amazon (click here to see them). 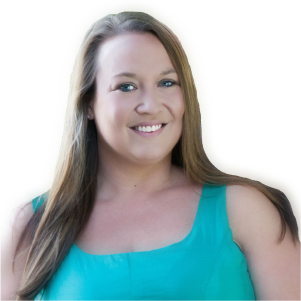 You could also take your students to the gym or outside and let them take turns shooting hoops before completing the activity. Trash cans or buckets from the dollar tree can also be used with wadded up paper balls or other small balls. 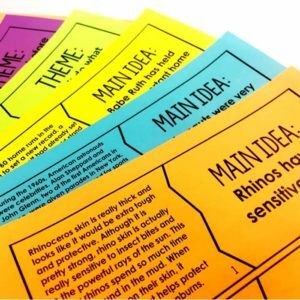 Fraction Review Printables for Your Grade Level — > Download them at the end of this post. To play this game, the students shoot 10 hoops for 4th grade review and 8 hoops for 5th grade review. Then they create a fraction for how many basketballs they got in. I do allow them to try again if they do not get at least one. 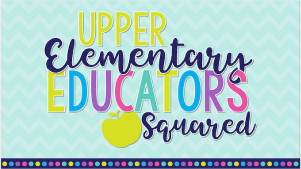 Now, let’s take a look at each grade level version. For this version, the students will try 10 times so the fraction they create will have a denominator of 10. For this version, the students will try 8 times, so the fraction they create will have a denominator of 8. 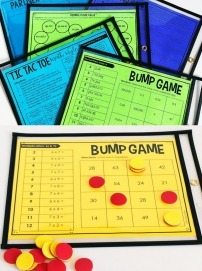 Have all of the students shoot their hoops and record their fraction. Then have them complete the math. If you use mini basketball hoops or trash cans/buckets, take them away after each student has made their hoops. This will allow them to have some fun shooting hoops but keep the hoops from being a distraction while the students are doing the math. 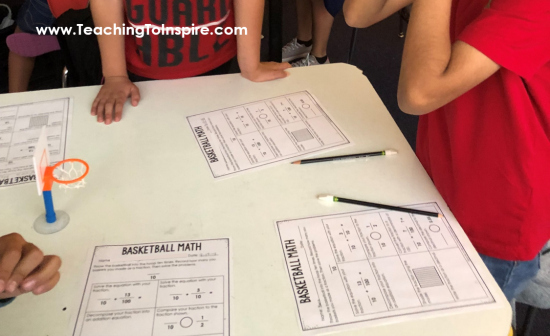 Click here or on the image below to grab the free Basketball Fraction printables to try this fun fraction review with your students today. 4th Grade Fraction Review Mini-Booklet: I use this before I begin teaching 5th grade fraction skills. It allows me to make sure my students have the foundation needed. This also works great as an end of fraction review for 4th grade. 5th Grade Fraction Review Mini-Booklet: This mini-booklet reviews all of the key fraction skills for 5th grade. Chocolate Themed Fraction Math Tasks: These are perfect for engaging application of fraction skills with a yummy chocolate theme. 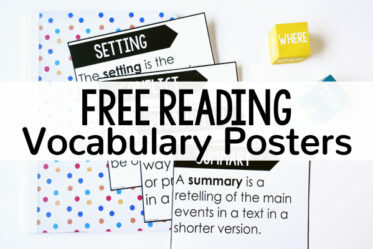 They are differentiated at two levels – one for fourth grade and one for fifth grade. 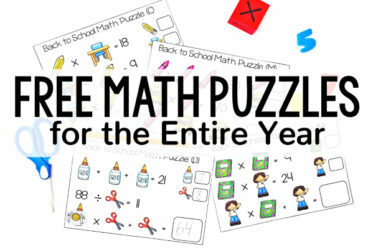 4th Grade Fraction Math Centers: This resource includes 23 math centers that cover all of the common core 4th grade math standards. 5th Grade Fraction Math Centers: 25 math centers for 5th grade fraction standards! Fraction Practice Pages: Sometimes, you just need some practice printables. This resource includes 30 half-page practice pages that cover tons of fraction skills. Fraction Review Task Cards: I love using task cards for SCOOT, math centers, and lots of other purposes. 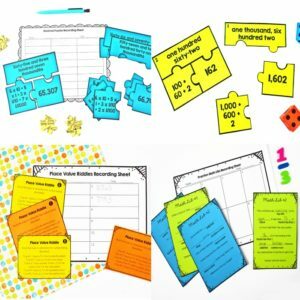 This one-stop task card resource reviews all of the 3rd and 4th grade fraction skills. 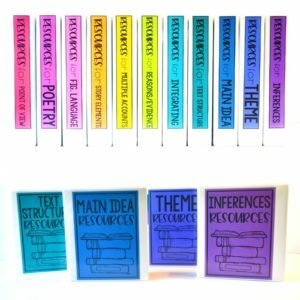 Want to read more blog posts about fractions? Click on the titles to check out my other fraction posts. Fraction Jenga: Want another fun fraction review for 4th and 5th grade? 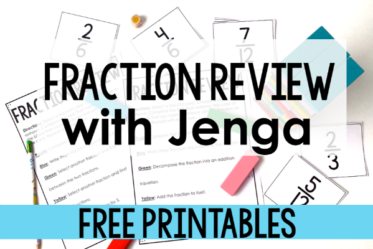 Check out this post for a free Jenga game that reviews fraction skills. 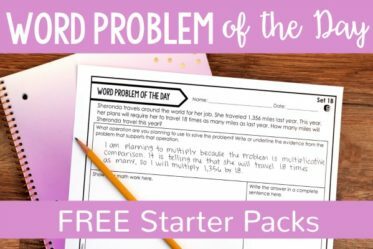 FREE Fraction Pacing Guide: Check out this post to grab a checklist and see how I pace my 5th grade fraction skills. 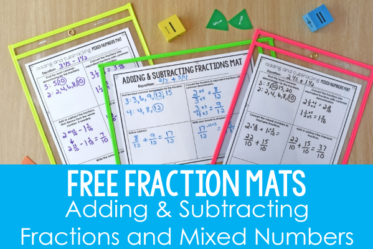 Fraction Mats: Grab some free mats for adding and subtracting fractions with unlike denominators on this post. 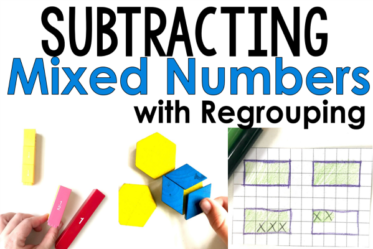 Subtracting Mixed Numbers with Regrouping Using Manipulatives: This blog post shares three ways you have help your students subtract mixed numbers in a more concrete way. 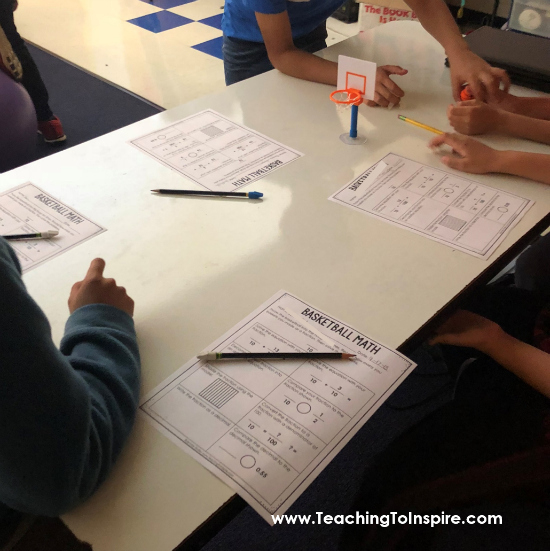 Multiplying and Dividing Fraction with Snacks: Check out this post for a fun way to review multiplying and dividing with fractions with snacks. What do you think about this basketball fraction review? Do you use basketball in your classroom already? I would love to hear your ideas. Let me know in the comments!